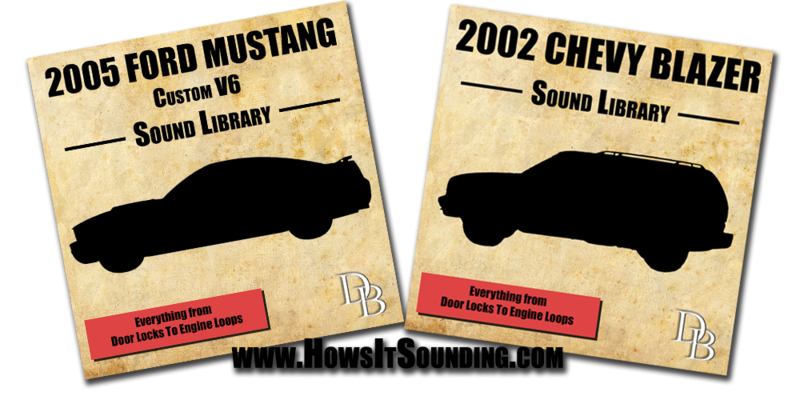 We have once again released another top quality, yet low priced sound library for you. This time it’s all about noise! Static and radio transmissions. This actually came about when DB Productions was working on a video that had many digital distortion edits. Seeing the distortion on the screen looked pretty cool, but it definitely needed a sound. Enter, this library. If you have read Part One of Sound at Sea, then you know that I am the sound technician aboard the Carnival Miracle. You also know what I do, and about the shows. I know that a lot of you care about audio gear, so let’s get into that. Carnival uses quite a bit a gear. We have some old stuff, some new stuff, some good stuff, some questionable stuff, and so on. However, all of it serves a purpose, and it does what it is supposed to do. We have a main lounge (like a theater) where the main shows happen, and many smaller lounges throughout the ship that have their own gear. Disclaimer: I can’t get into too much detail, due to a signed contract, but everything that I am telling you, you can physically see for yourself if you are ever onboard since all of the audio gear is exposed in public spaces. Many of you avid readers may be wondering where I have been. In short, I have been on a journey, but most of you don’t come here to read things “in short”, so let’s get into where I have been. For the past month (and for the next five months), I have been working on the M/s Carnival Miracle as their sound tech. I have decided to start up this series to not only tell you where I have been, but also about life at sea, and the job itself. So, join me aboard the Carnival Miracle for my journey. First off, I would like to debunk any negative stigmas about Carnival. Yes, the media likes to pick on Carnival Cruise Lines because of some incidences in the past, but things happen to every cruise line. Carnival is one of the biggest cruise lines in the world, and it got like that for a reason: people like the cruises. You don’t get to be the biggest for nothing. I am not just saying all of this because I have to as an employee, because I don’t; I am saying this because this is what I have observed. If you are like me, you don’t always have time to sit down and read a book. However, regardless if you are an armature, hobbyist, or a pro in the recording industry, it never hurts to read a little something every now and then they may give you some good insight. I know, I know. Who reads books anymore? If it’s worth it, you should. The book Professional Microphone Techniques by David Miles Huber and Philip Williams really gives some good insight about recording just about any instrument that you can think of. It is well illustrated, well written, and includes a CD so you can actually hear the different microphone placements. The book is broken up into well laid out and chronological sections (AKA chapters). It starts out with an introduction to microphones followed by the basics of them. To the pros, this may be common knowledge, but to the amateur, or weekend recording warrior, they may now realize why directional microphones work they way they do, or why 48 volts of phantom power should be used on condenser mics. After you cover the concepts of basic placement, then you get into the good stuff: miking instruments. I have had some time to really mess around with the Xbox One. Since this is not a game review blog, I’ll stick to the audio side of this. There is more to talk about then you probably think. So let’s dive into the expected, unexpected, and just flat out strange audio aspects of the Xbox One. Microsoft released the Xbox One to the North American market on November 22, 2013 a few days behind Sony’s release of the PS4. The highly anticipated console had a few unanticipated drawbacks for me. The Xbox One only has two audio outputs: HDMI and optical. This for me was a huge let down.